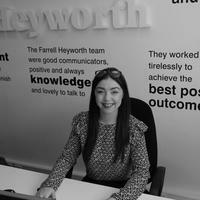 Farrell Heyworth - Your local Bamber bridge estate agents. Our friendly Bamber Bridge Estate Agency branch is located at the heart of town. You can find us on Station Road a short walk from Morrisons supermarket in one direction and from the Bamber Bridge train station in the other. At Farrell Heyworth Bamber Bridge our well-trained team pride themselves on offering our customers the very best service. Whether you are looking to buy, sell, rent or let a property we're working longer and harder to help. Our Bamber Bridge team offer a wealth of local and industry experience and we combine this with the very best that technology can offer to give you a fantastic experience. Why not pop in and find out how we can help? Click here to get started with your My FH account and find out how we can make your property transaction faster and more convenient. We also offer a range of complimentary services including surveys & valuations, lettings & property management, independent mortgage advice and conveyancing to give you a true one stop shop experience. Our branch covers Bamber Bridge and the wider area, which includes Walton Le Dale, Lostock Hall, Walton Park, Higher Walton, Hoghton ,Clayton Brook, Clayton Green and Samlesbury. What's it like to live in Bamber Bridge? Bamber bridge is a well-connected town. We really are situated at the centre of Lancashire and many local residents utilise our fantastic transport links to commute to Preston, Chorley, Leyland and beyond. We are close to junction 29 of the M6 and M65 motorways and Bamber Bridge train station provide direct access to Preston, Blackburn, Burnley, Leeds and is a short hop from services on the West Coast main line. Local beauty spots include Cuerden Valley Park, historic Hoghton Tower and Samlesbury Hall. Our Bamber Bridge Estate agency branch offers a diverse range of properties covering all budgets, ranging from first time buyer properties through to luxury homes in rural areas. When available we also offer off plan properties from a range of local luxury developments. 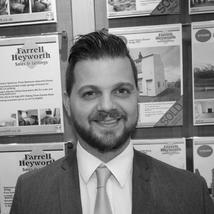 We'd be delighted to welcome you to our branch to help you find your perfect property in Bamber Bridge. Alison is a very experienced estate agent in the North West, having also spent several years training consultants in providing world class customers service in the financial services sector. Alison has an abundance of knowledge of the industry and will always meet you will a warm smile and a friendly greeting. With many years of sales and industry experience she is ideally placed to assist you in all of your property needs. Carl first started in sales some 16 years ago and also has a back background in digital and social marketing which ties in very well in today’s Estate Agency world to ensure our clients obtain the best marketing and price in a forward thinking Estate Agency. He prides himself on providing all his clients with the best service in the area and in line with the Farrell and Heyworth way. 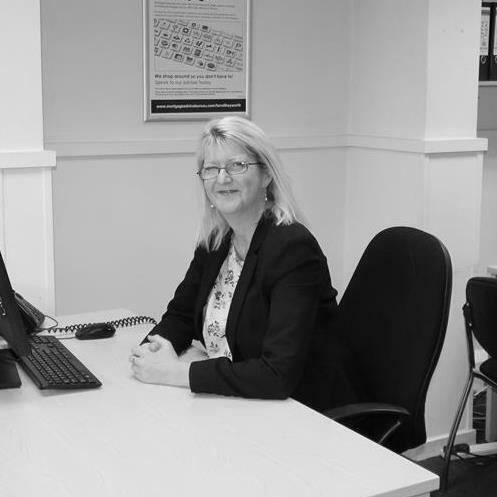 Jacqui is part of the successful sales team at our Bamber Bridge office. Jacqui is there to help provide guidance on the properties we have available for sale or to guide you through the process of selling your home. During your move Jacqui will provide professional home moving advice and excellent customer service. Having lived in the area all of her life Jacqui brings a strong local knowledge to your move. If you are looking to buy sell rent or finance your next move she will be more than happy to assist. Robert works with Mortgage Advice Bureau, the UK's largest high street based mortgage brokers & has access to 1,000’s of mortgage products to ensure that you get the best and most competitive mortgage for your needs. Whether you're buying your first home, moving home, investing in property or re-mortgaging Robert’s expert advice is a great place to start. Request a viewing, call Bamber Bridge on 01772 628054 or submit the form below. To book your free property valuation, call Bamber Bridge on 01772 628054 or submit the form below. Request a callback, or contact Bamber Bridge on 01772 628054. You can order a Homebooster for your property online, or by calling Bamber Bridge on 01772 628054 or submit the form below. Call Bamber Bridge on 01772 628054 or submit the form below.